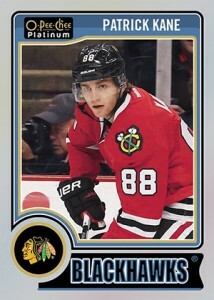 Similar story, different set. 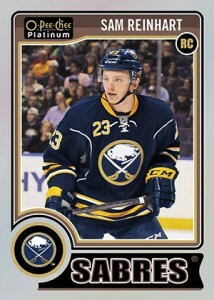 The 2014-15 O-Pee-Chee Platinum Hockey Variations take a bunch of players from the base set and give them a second, rarer version. 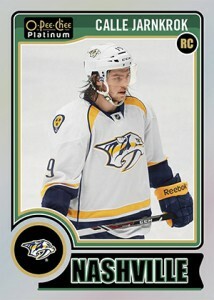 These are parallels but new photos. 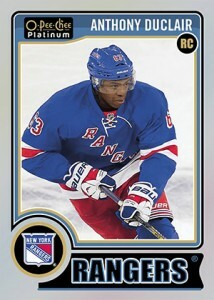 And with such a large number of them, collecting them all could prove to be a challenge. 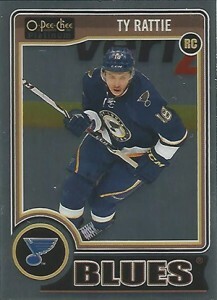 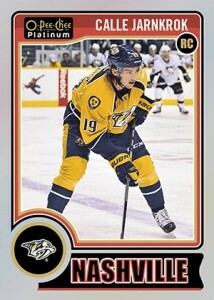 Shop for 2014-15 O-Pee-Chee Platinum Hockey Variations on eBay. 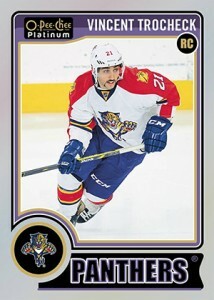 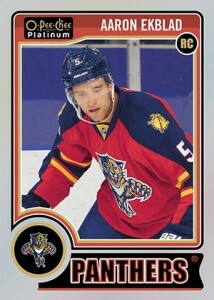 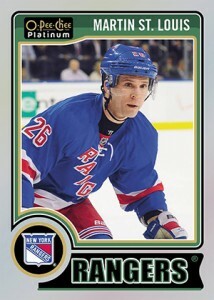 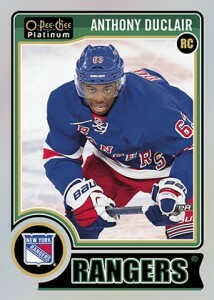 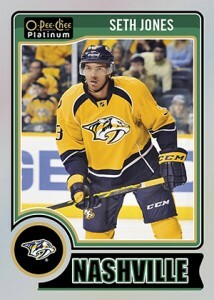 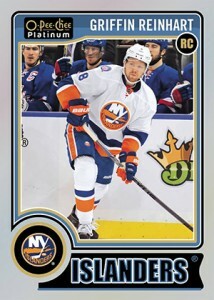 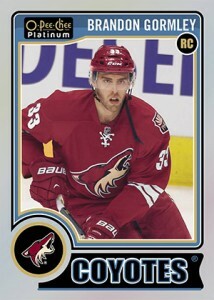 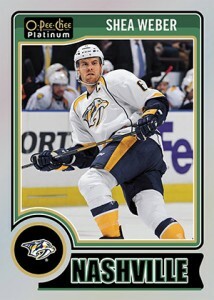 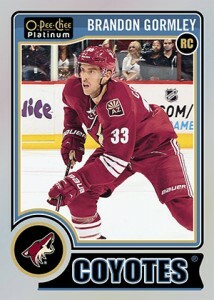 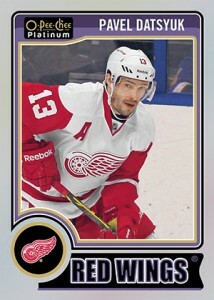 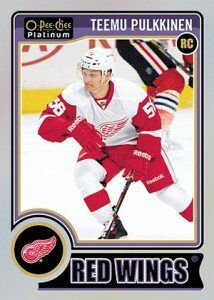 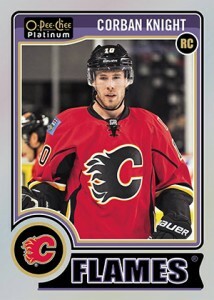 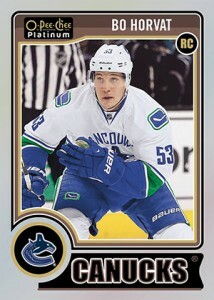 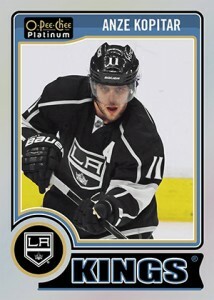 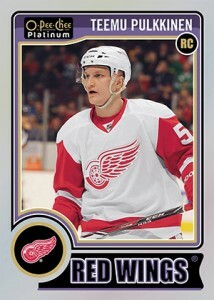 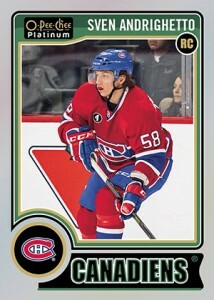 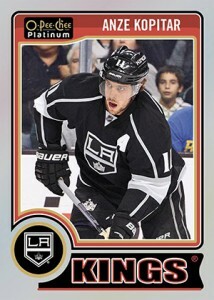 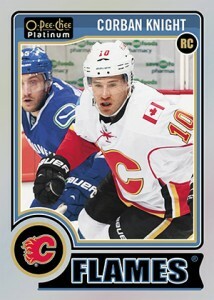 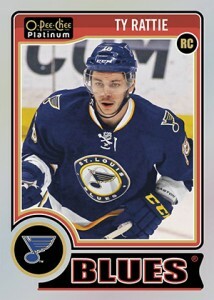 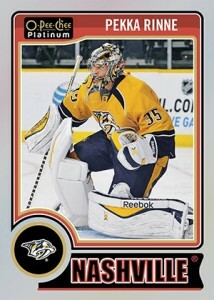 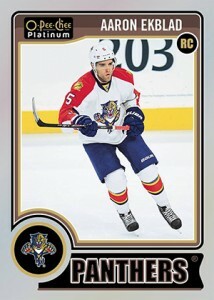 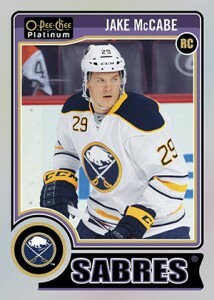 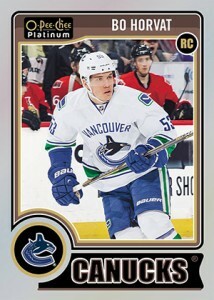 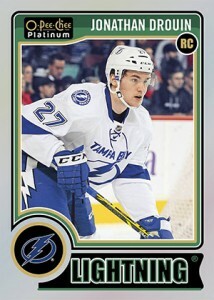 In total, 2014-15 O-Pee-Chee Platinum Hockey has 50 variations. 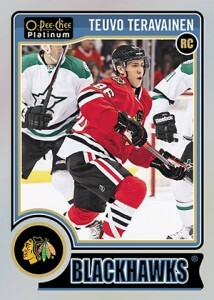 The numbers are split equally between veterans and rookies. 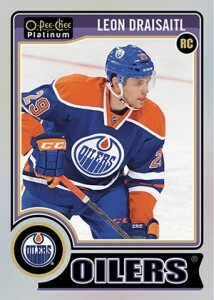 Inserted 1:160 hobby packs and 1:320 retail and blaster packs, these short prints are tough to find. 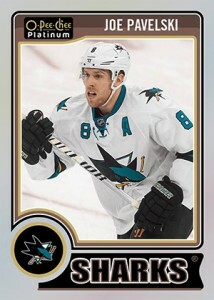 Besides basic variations, 28 of the players have autographed versions as well (they're all listed on the full checklist). 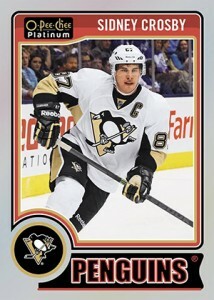 Signed veteran variations are inserted 1:3,250 packs while rookie variation autographs land 1:650 hobby packs. 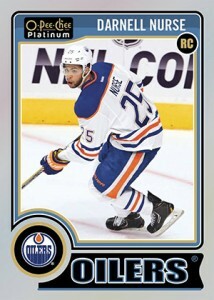 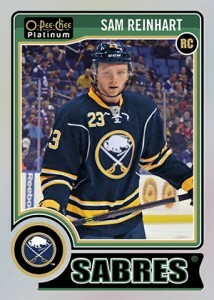 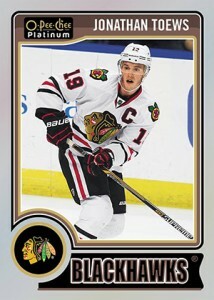 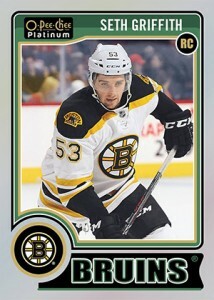 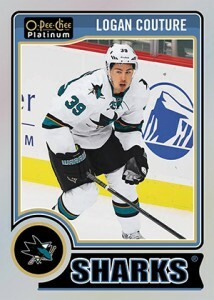 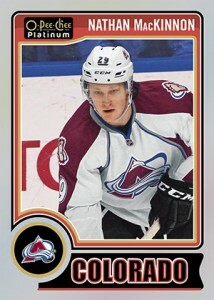 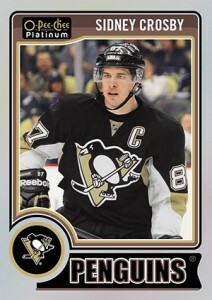 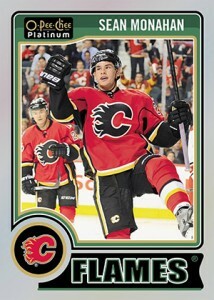 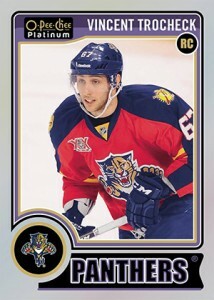 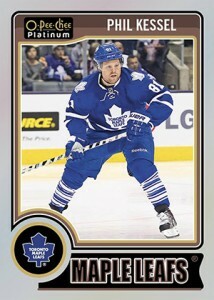 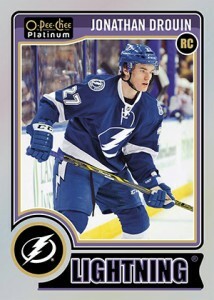 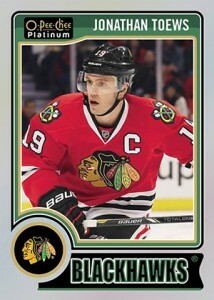 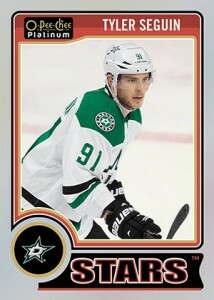 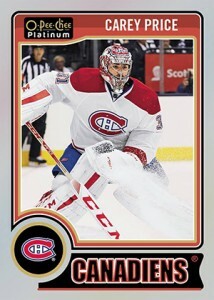 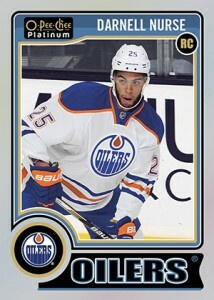 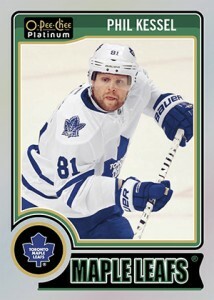 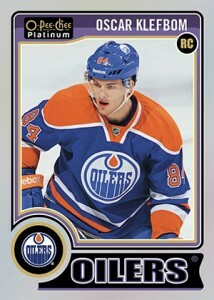 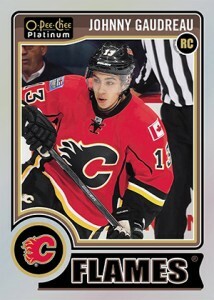 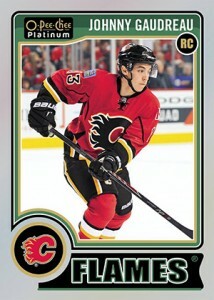 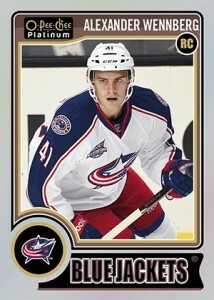 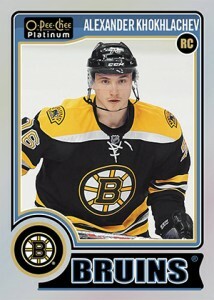 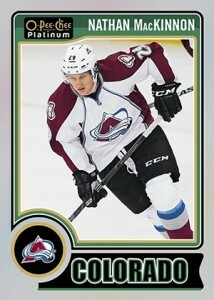 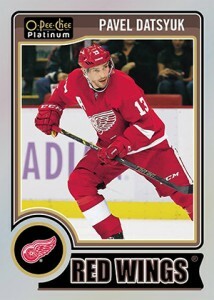 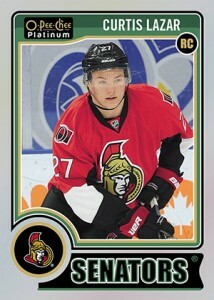 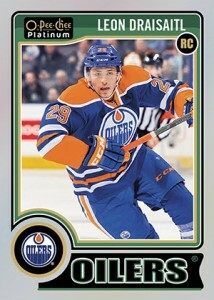 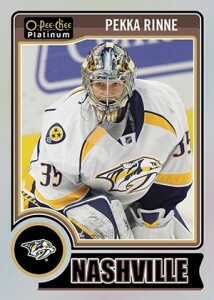 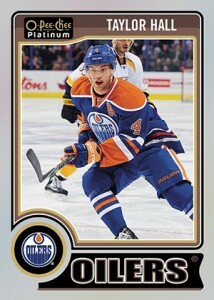 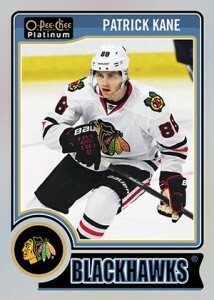 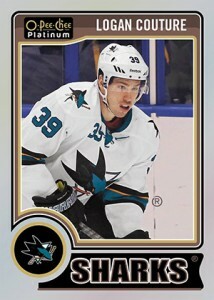 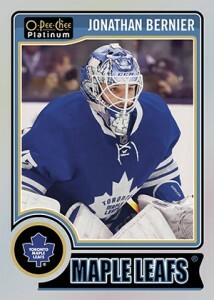 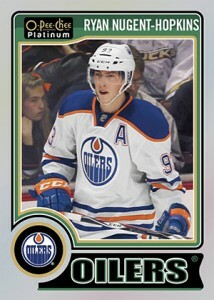 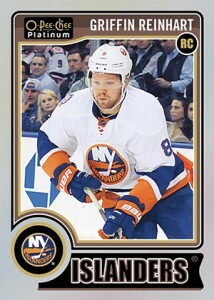 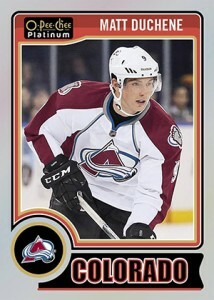 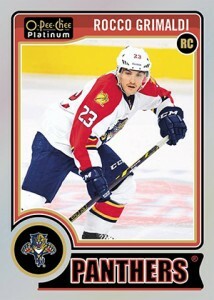 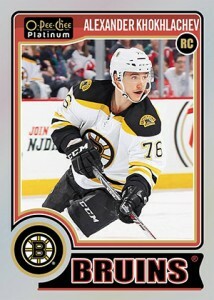 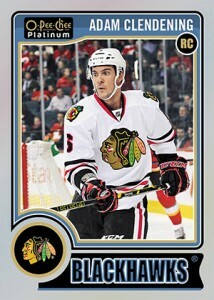 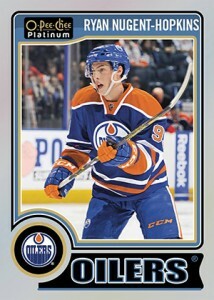 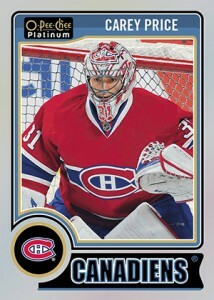 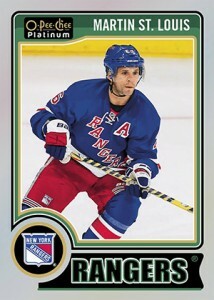 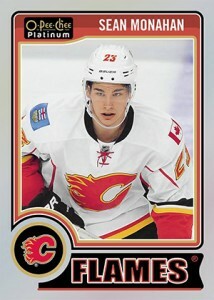 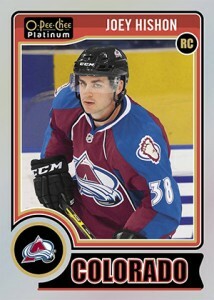 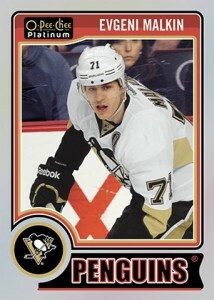 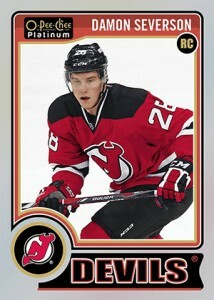 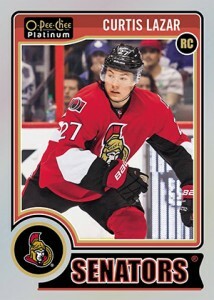 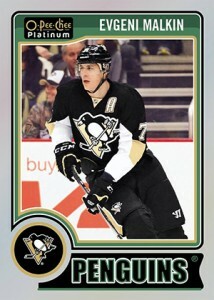 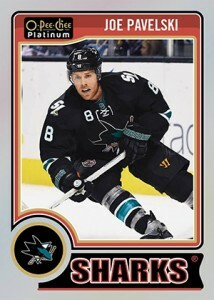 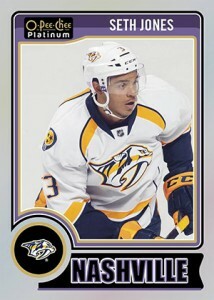 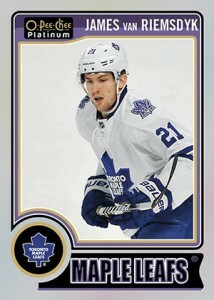 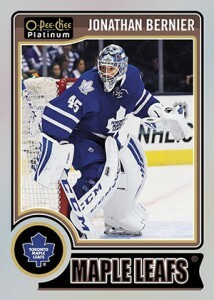 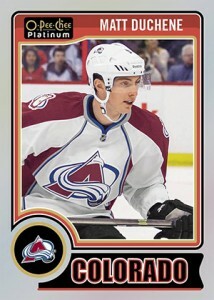 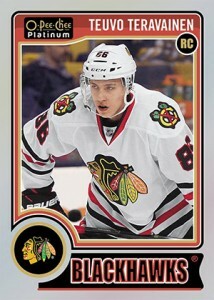 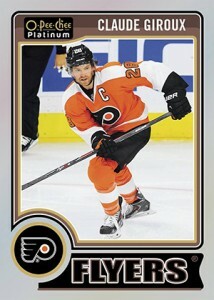 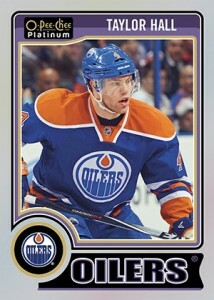 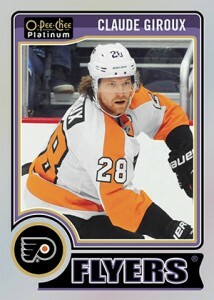 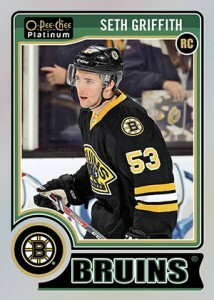 Curious about the differences between the base cards and 2014-15 O-Pee-Chee Platinum Hockey Variations? 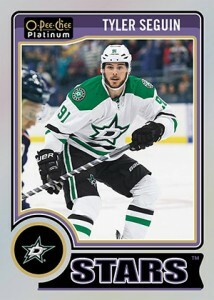 We've got a detailed look below that shows both versions of the cards as well as short descriptors on what to look for. 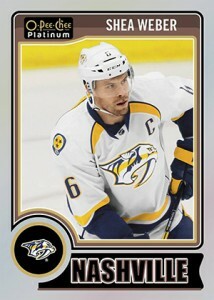 Most are obvious, changing the color of the jersey or border, however some require a bit of a closer look.